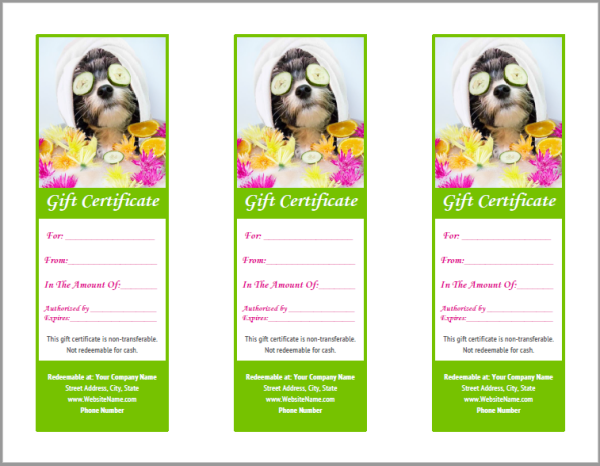 ​Effortlessly gain new clients and increase your sales by having grooming gift certificates available for sale. 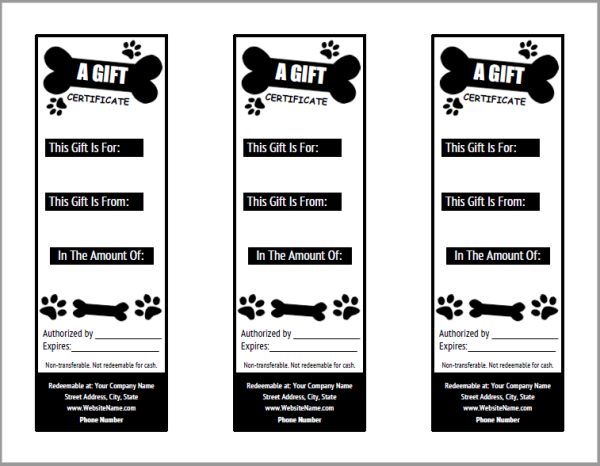 Print them yourself for just pennies with these easy edit templates. 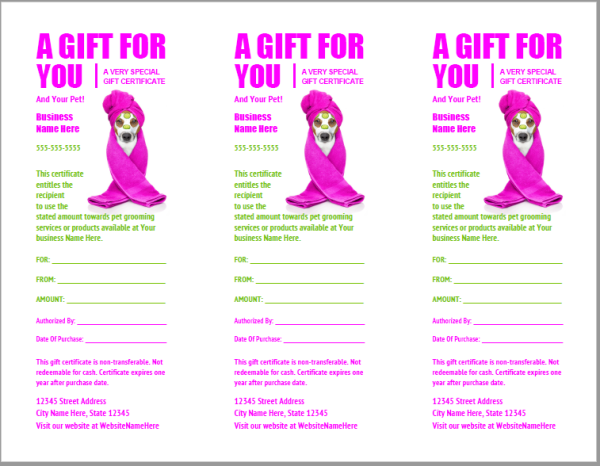 Prints three per page. 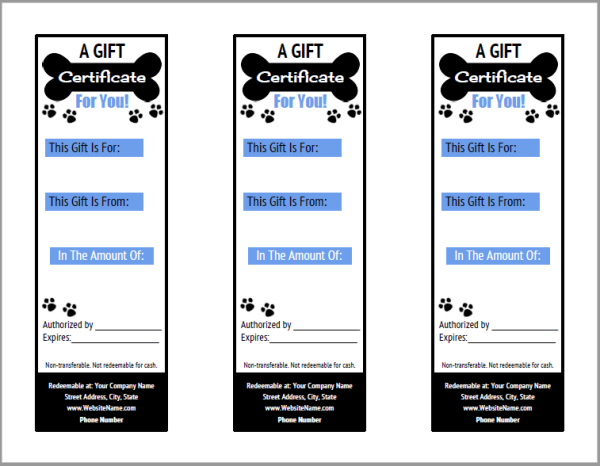 These look great when printed on cardstock paper (available for around $6/ream at any Walmart or office supply store). Or edit and email to your local copy shop for professional printing. 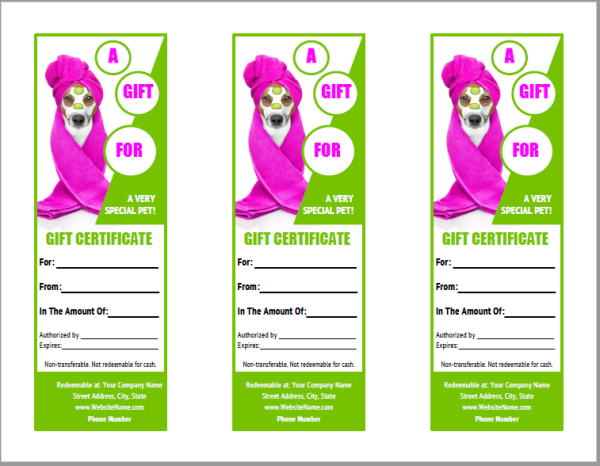 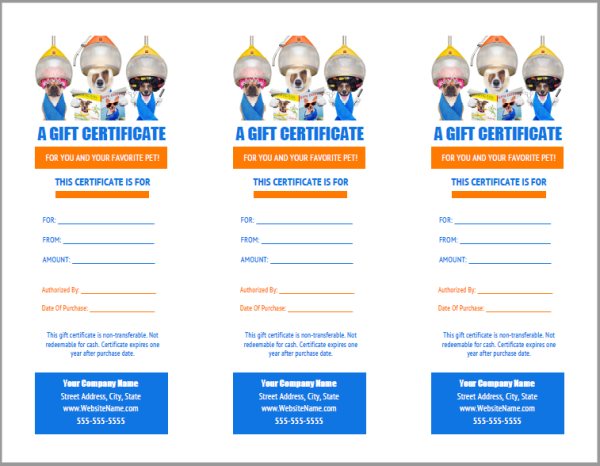 Gift certificates are also ideal for donating to charitable silent auction fundraisers or as a nice Christmas gift for clients! 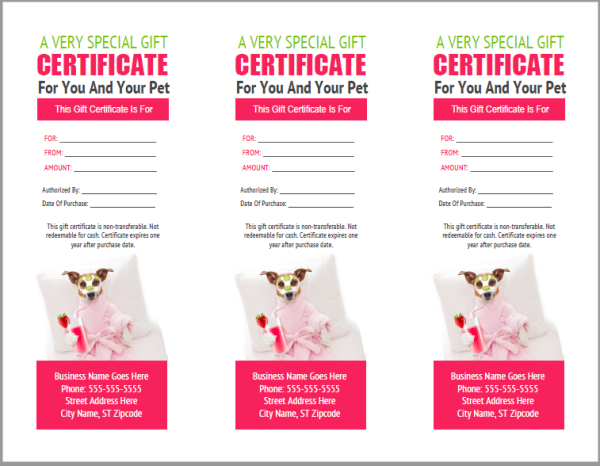 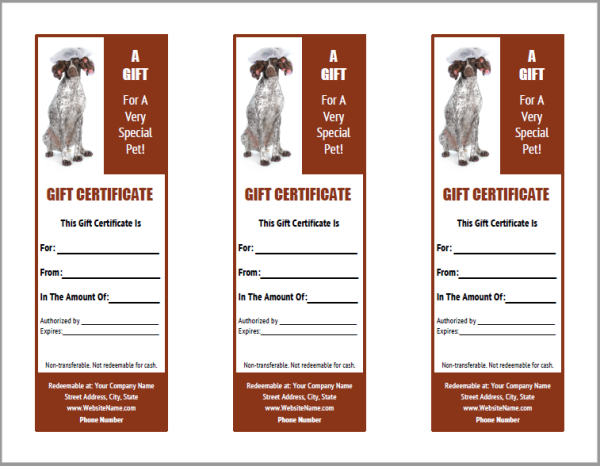 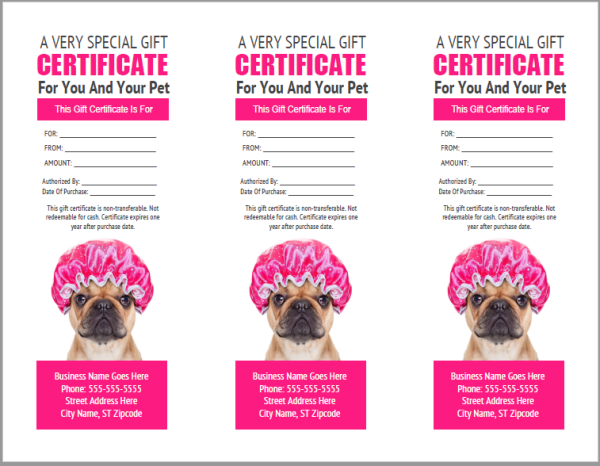 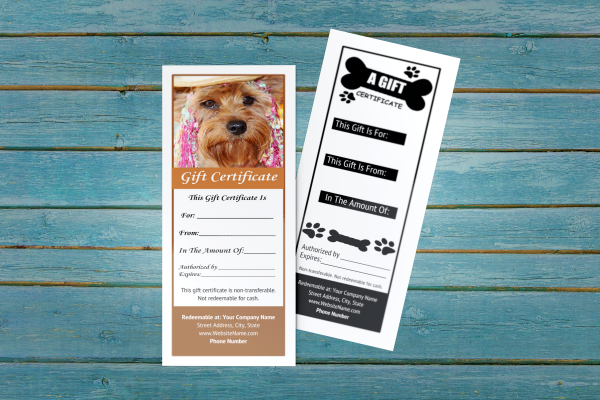 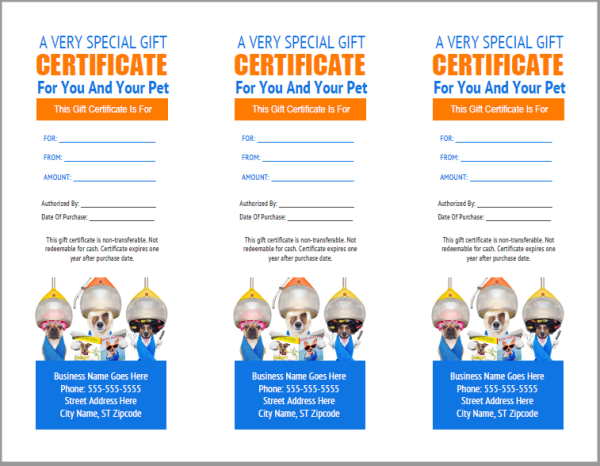 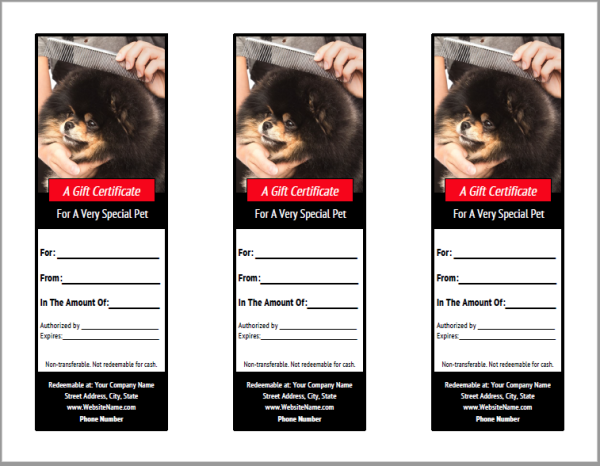 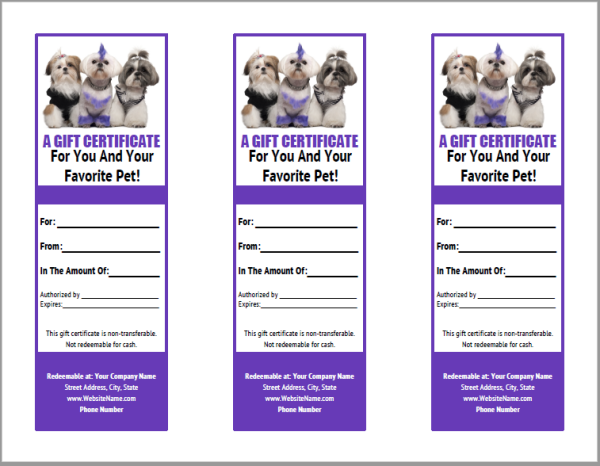 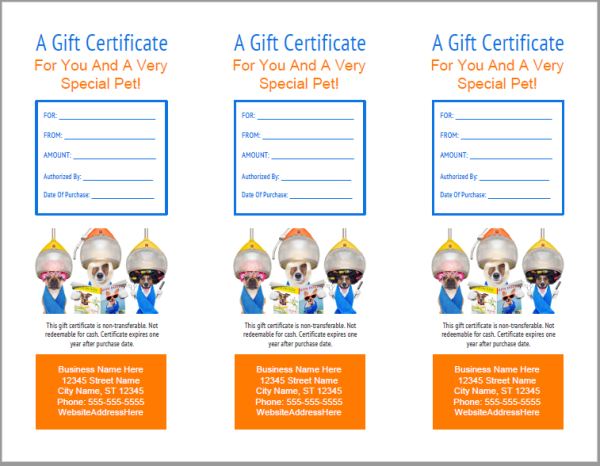 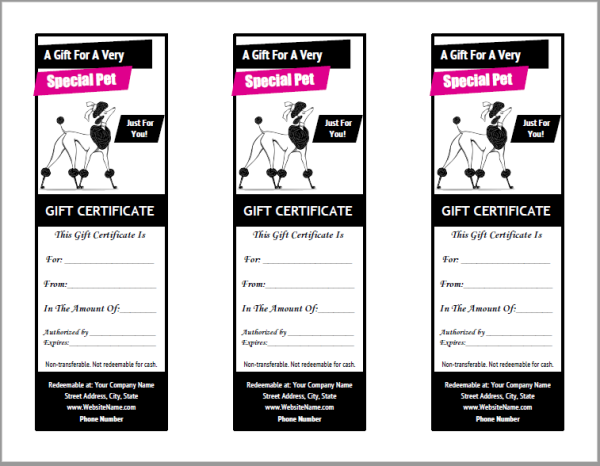 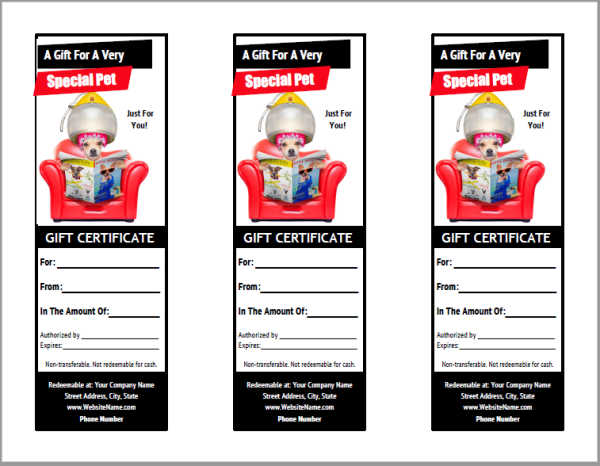 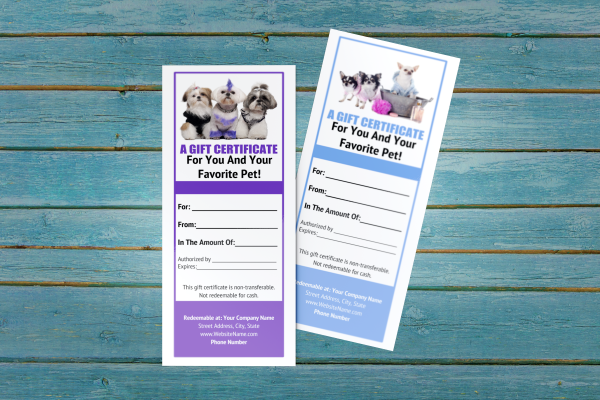 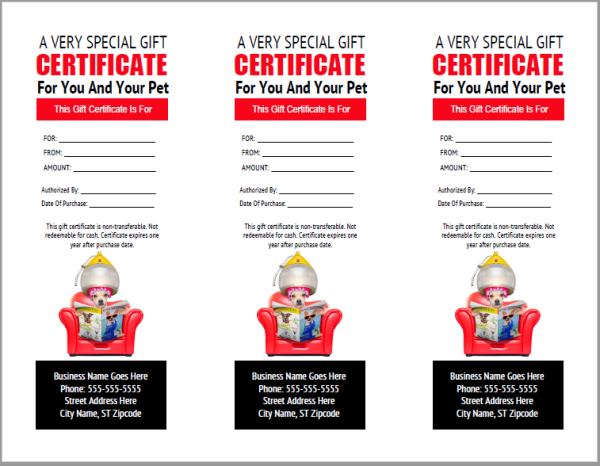 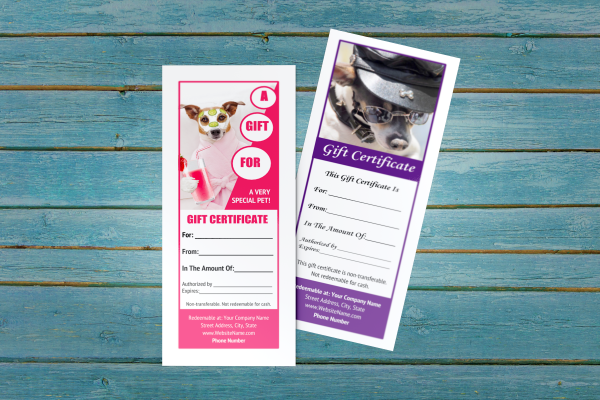 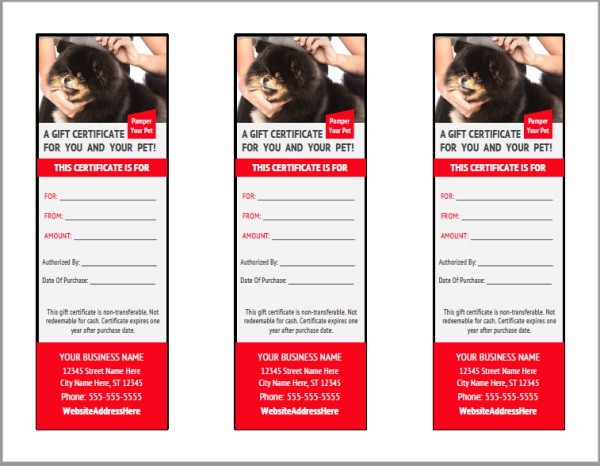 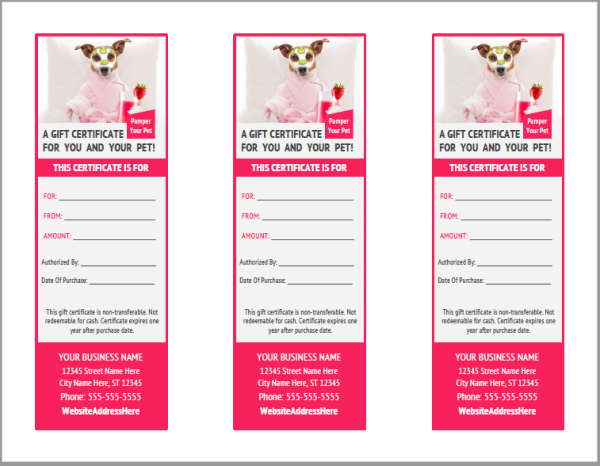 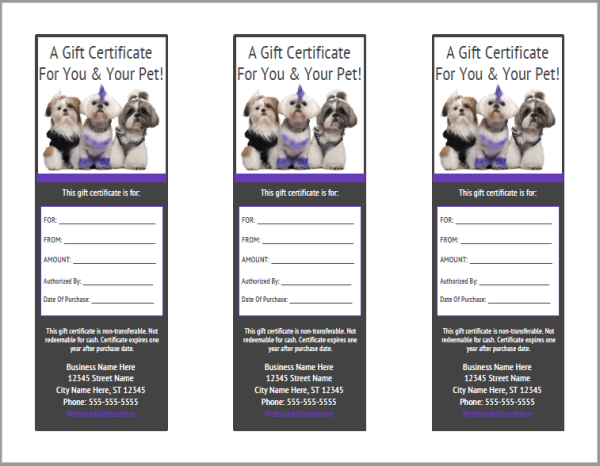 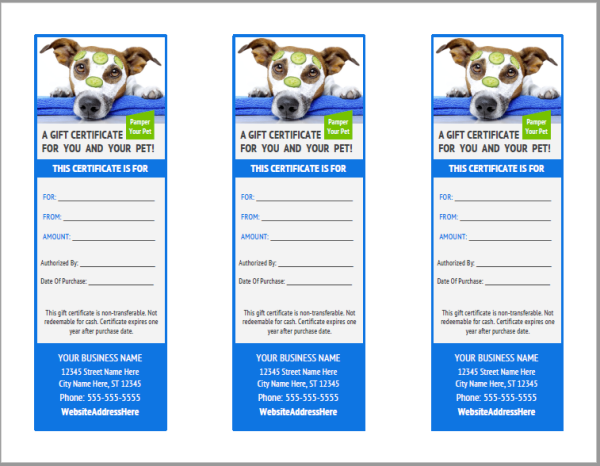 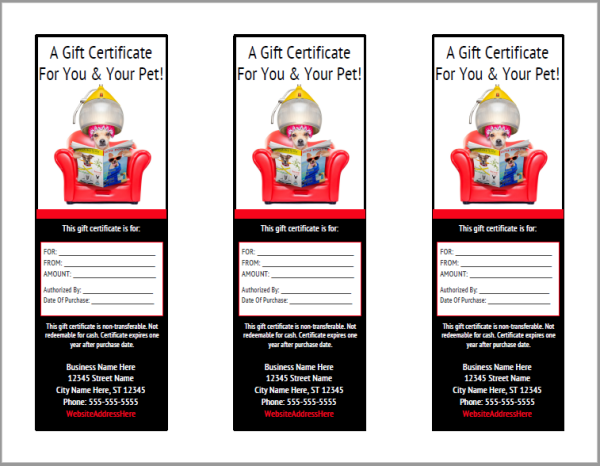 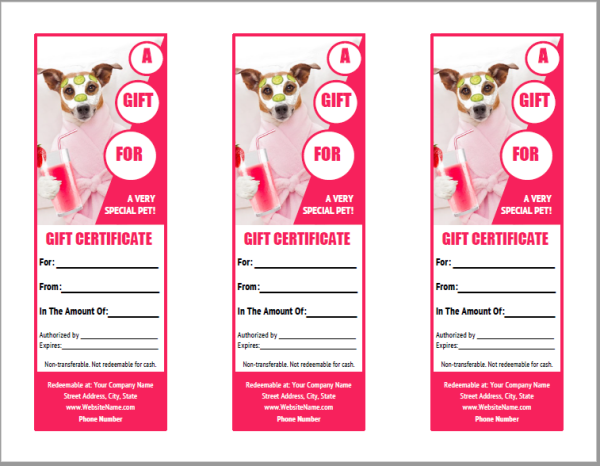 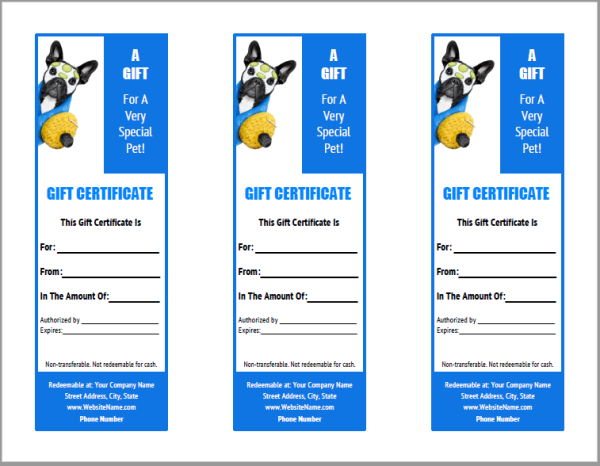 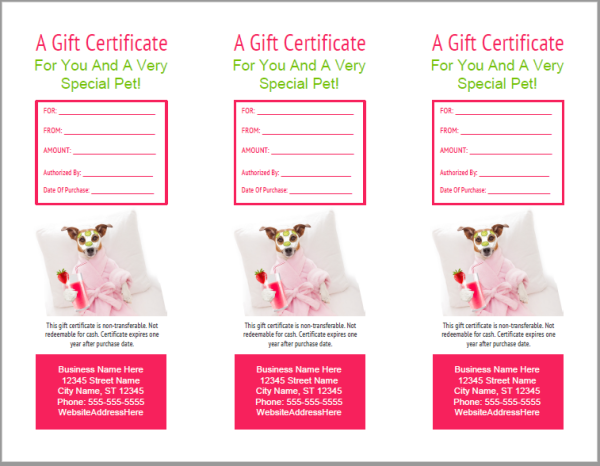 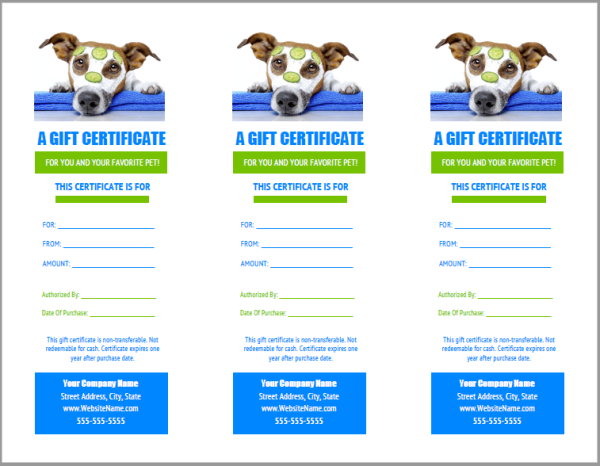 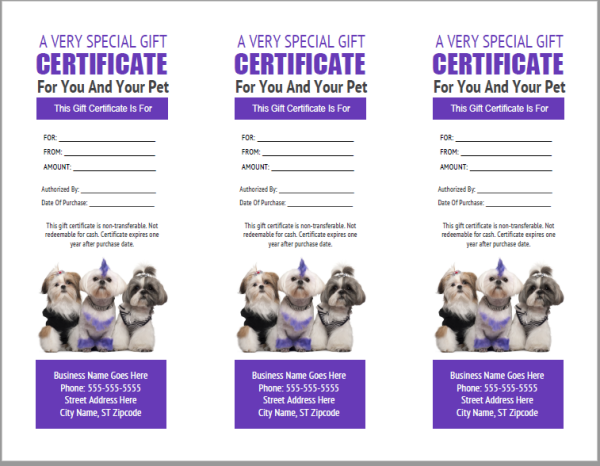 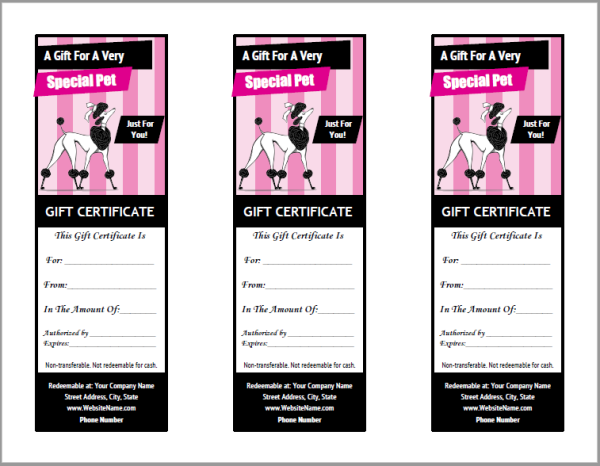 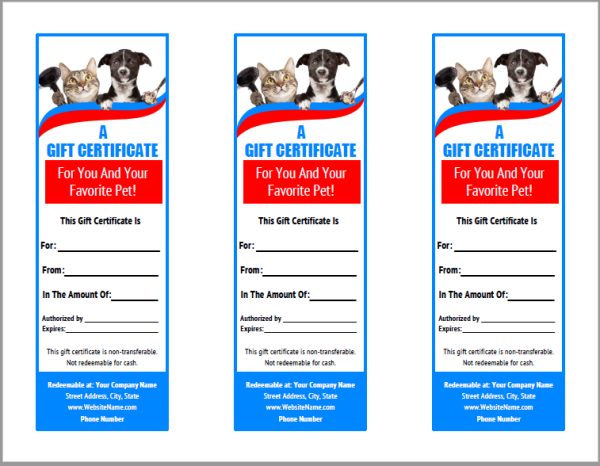 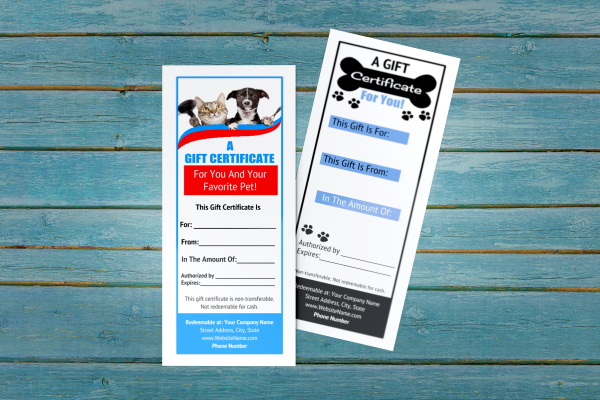 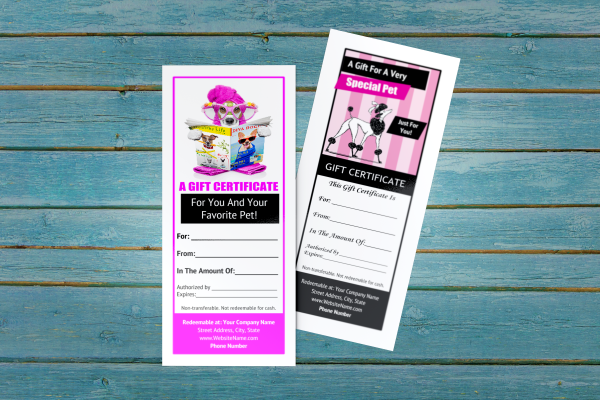 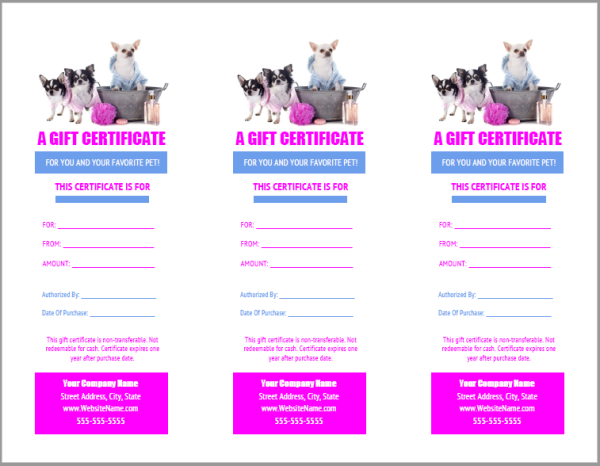 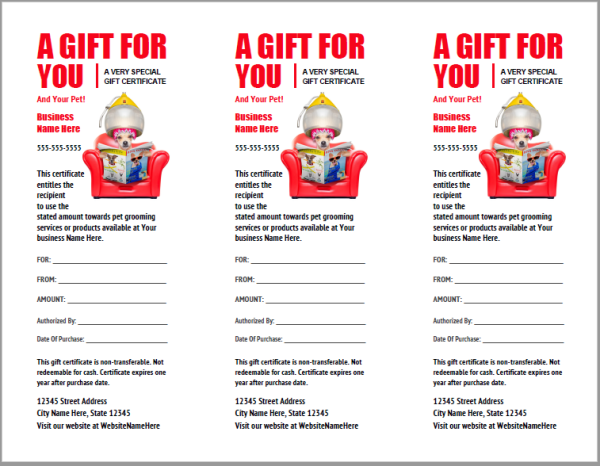 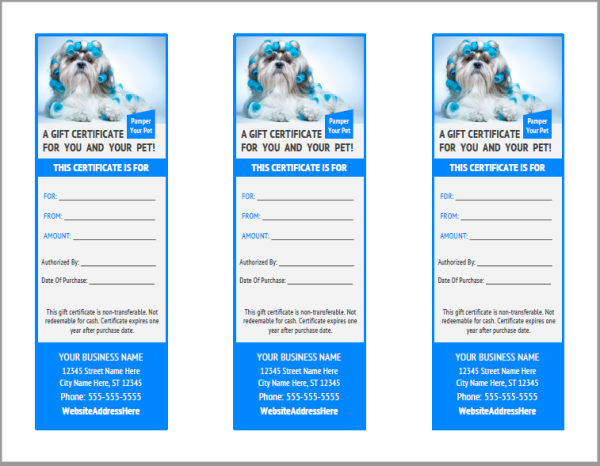 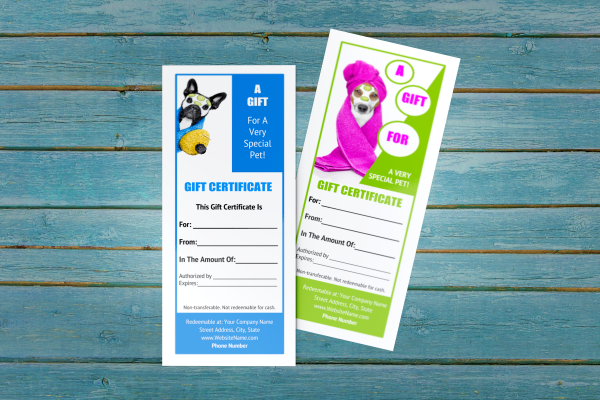 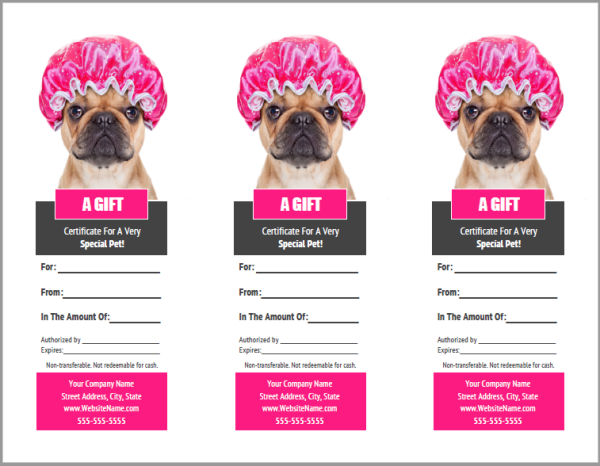 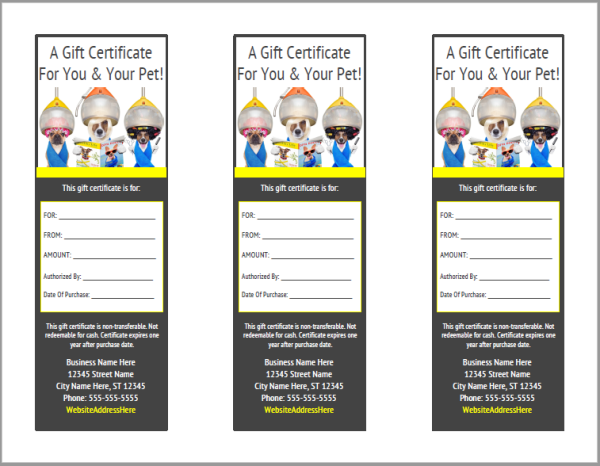 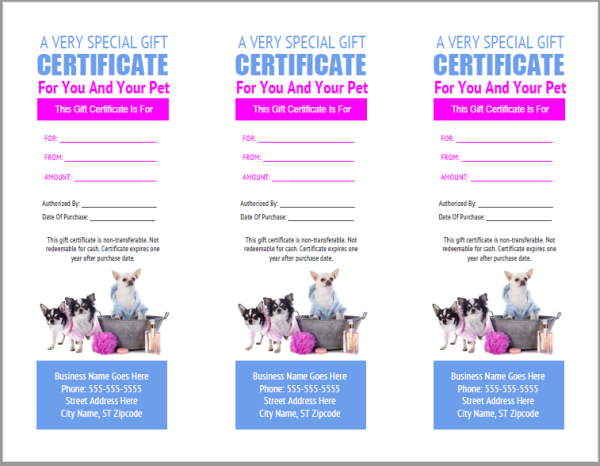 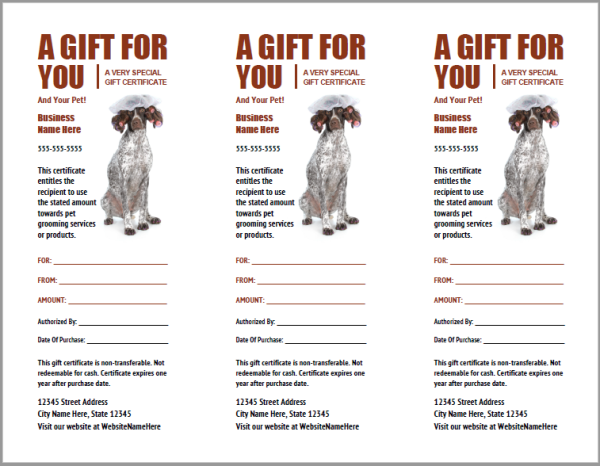 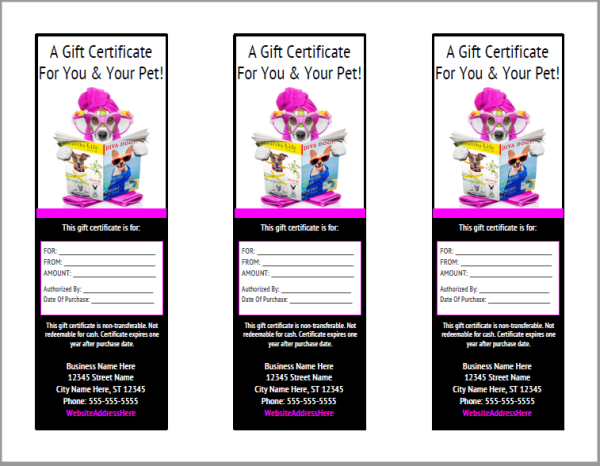 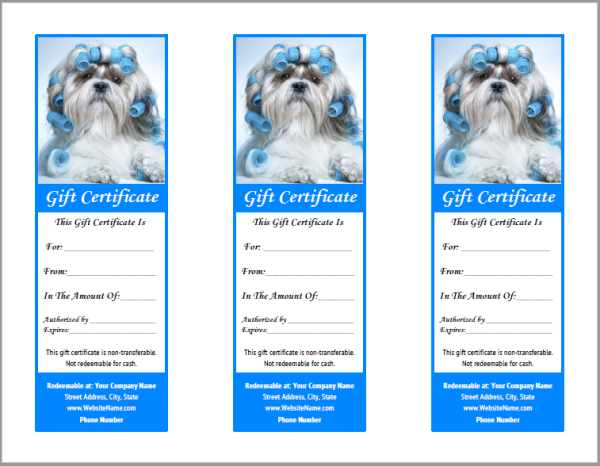 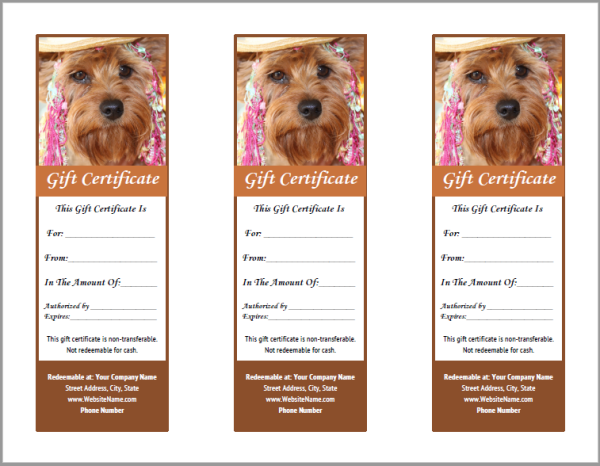 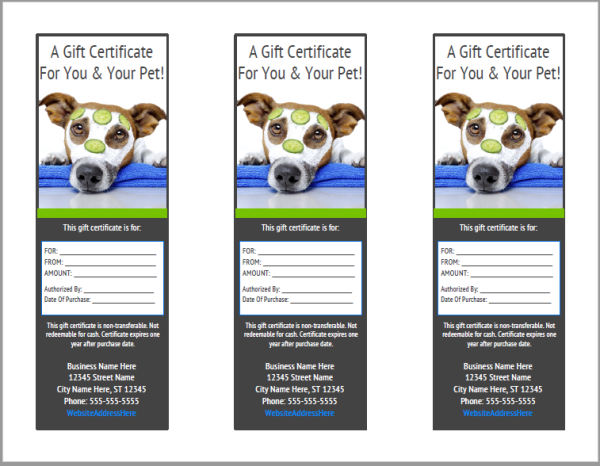 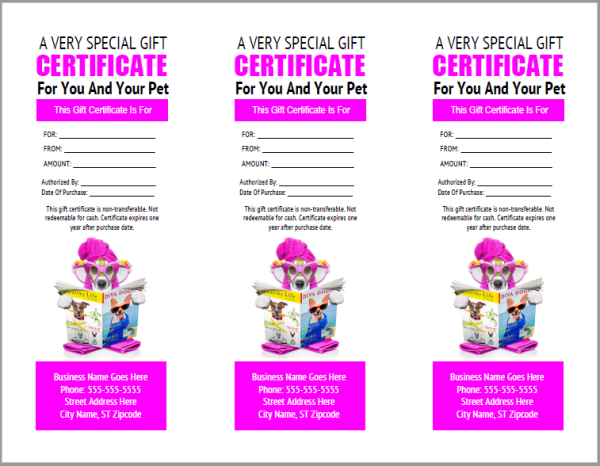 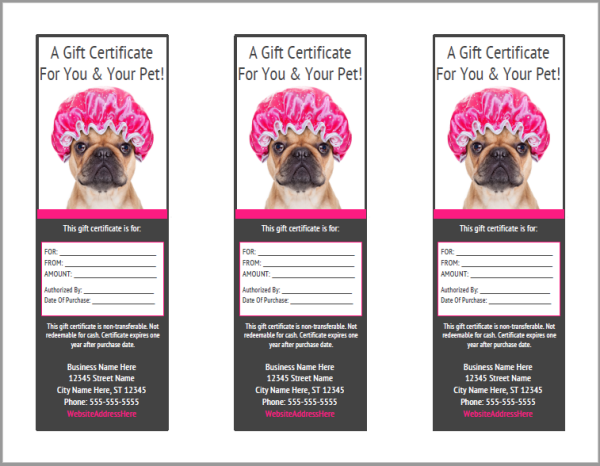 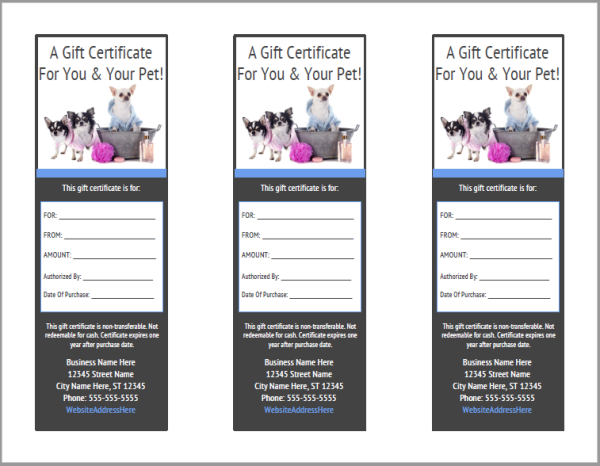 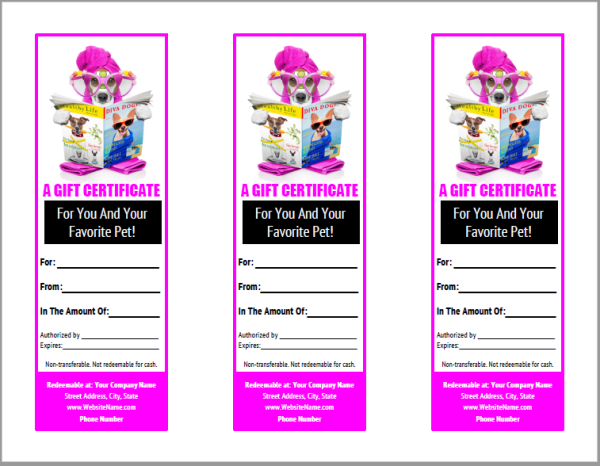 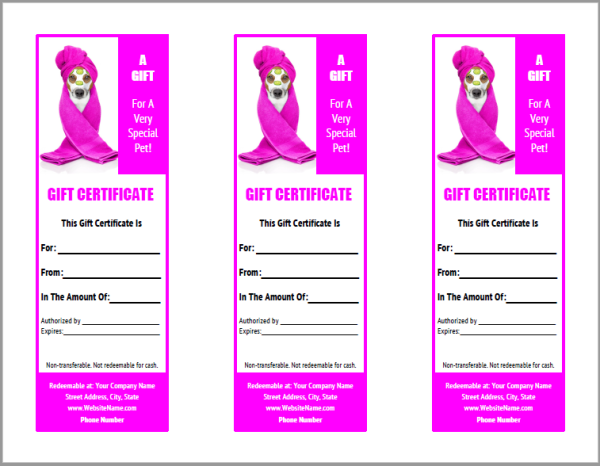 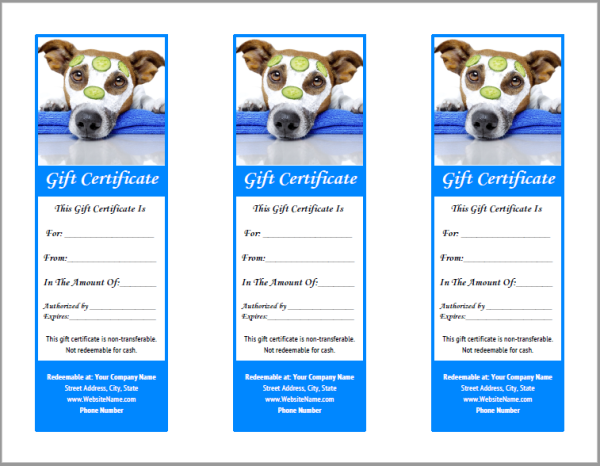 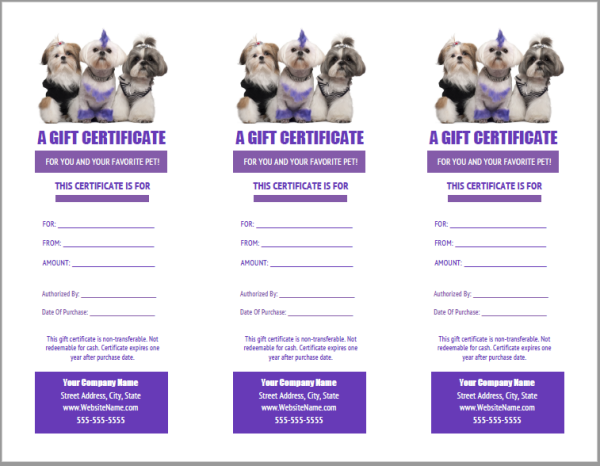 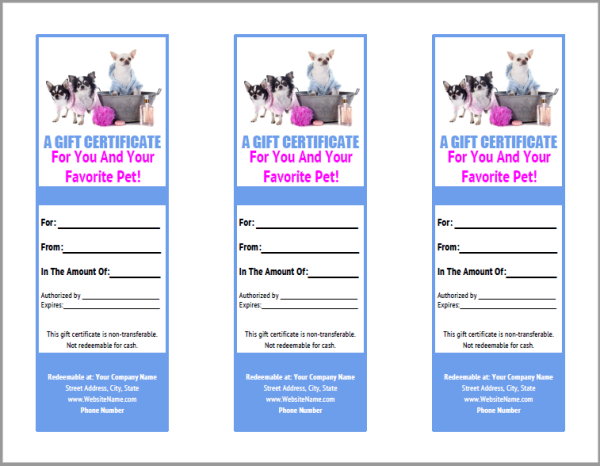 You get all 49 gift certificate templates plus the entire advanced Groomer's Profit Kit with over 750 editable templates. 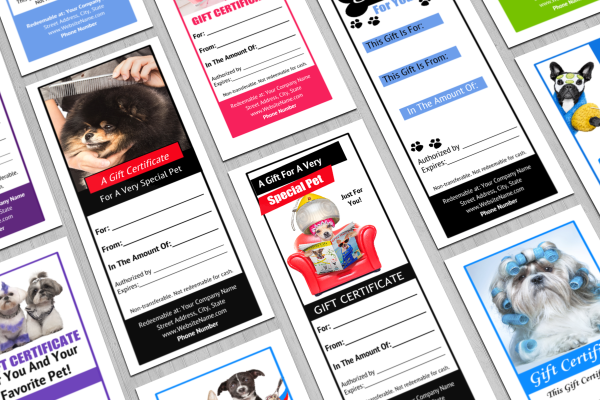 The templates are super easy to edit and do not require any software downloads. 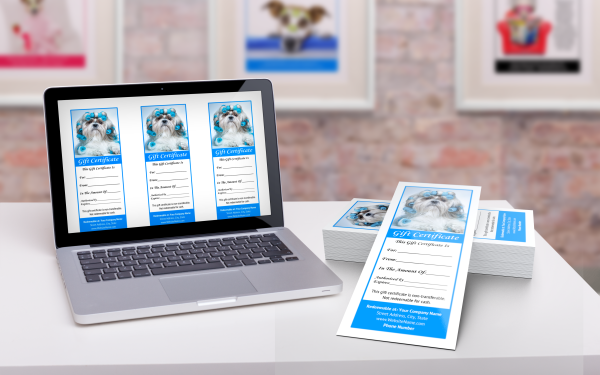 Simple, point & click editing allows anyone to create professional print pieces in just minutes. 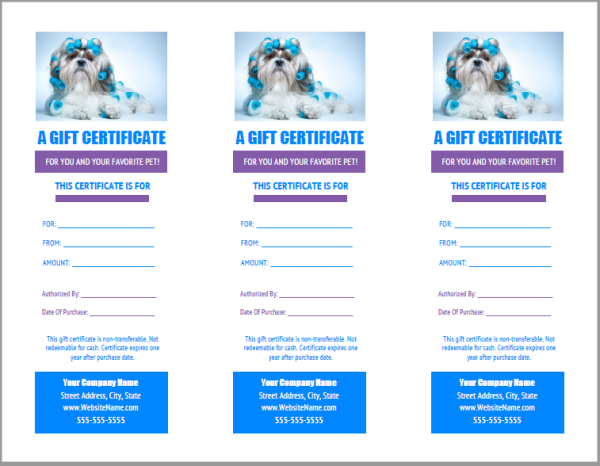 All templates can quickly & easily be edited right online with the free Google Slides version of Microsoft Powerpoint.